Organize and carry all of your diabetic supplies and insulin at home and away. 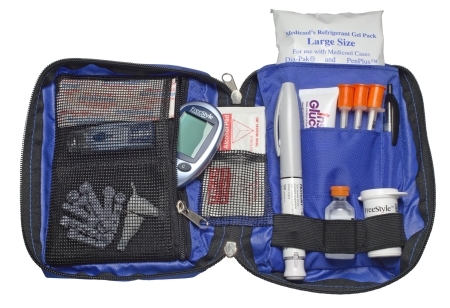 The Classic is a efficient carrying case made of durable, water-resistant nylon, designed specifically for diabetics. A refreezable cold gel pack offers enhanced insulin protection. It fits in your briefcase and your lifestyle. An optional waist belt is available. Size: 6.5" x 5" x 1"